One of the regular things that happen in the life of freelancing is cash flow. There are seasons where you have many clients and the cash is rolling in, but there are also times where you may not be working, and your money is low. How do you fix it so that you can have a consistent income that will allow you to anticipate what you’re going to earn more easily? When moving across the spectrum, the bigger the gap, the harder the jump. When I first started freelancing, I offered web design. Of course, there were a few other services built into the web design process. However, that was my only offer it was web design, and the price was, for the most part, a custom quote I will give the clients. Because this was the only thing, I offered what it came down to the client making a yes or no decision. Yes, the client was going to work with me and pay me a certain amount or no they were not, and they would move on and try to find someone else. 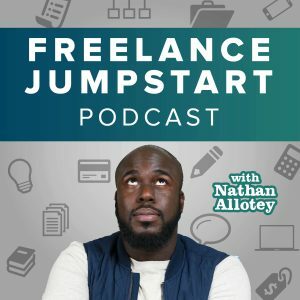 In freelance jumpstart TV on the episode called How I made 375 an hour I break down how I introduced choice to a customer that when giving a customer a quote you should definitely give them multiple options to help them make a decision between choosing you and it transitions from will I work with Nathan yes or no to which option I would select. This same logic works with the services that you offer. 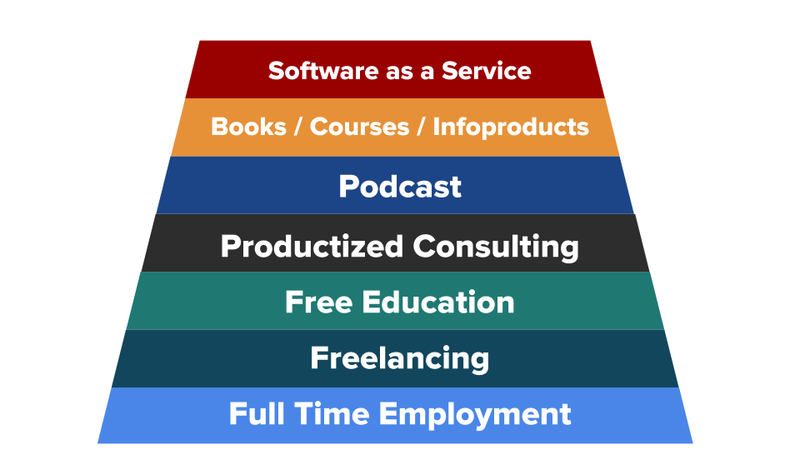 Brennan Dunn states a ladder of projects that will help lead your potential clients towards higher offerings for you. What if you had a comprehensive service that did not cost a client that much and did not take much of your time. This type of service can act as a preview of your work process. You can build into the product/service next steps of the client choosing a higher offering with you. As an example, I’ll share what I’ve been thinking about and building my Product Spectrum to offer to clients. In the past the first thing I do is offer web design services that is my main offering and more than likely my most expensive offering, so we’re going to put that on the far end of the spectrum. What can I do as an entry point for a client who has never worked with me? 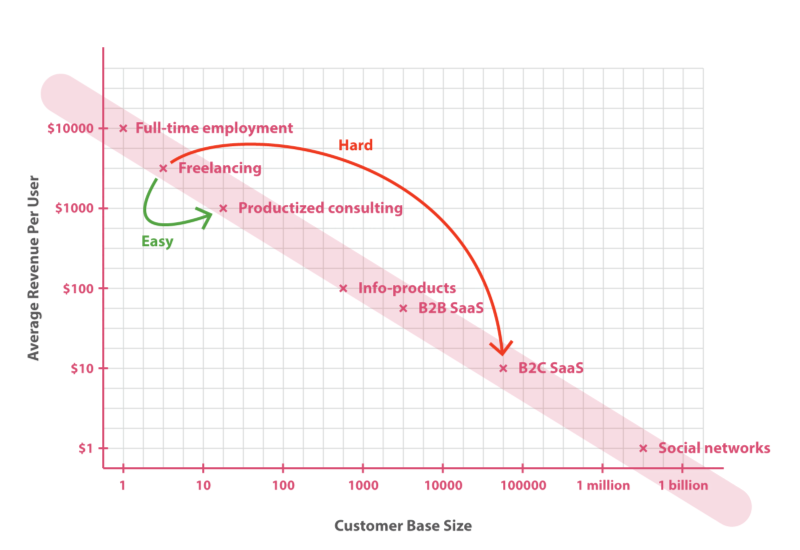 Productized consulting is a term for selling consulting services as a fixed-price, value-based offering with a predefined process. You do not have to offer everything in the spectrum but if you add multiple tiers to your product spectrum this can solve your cash flow problem.